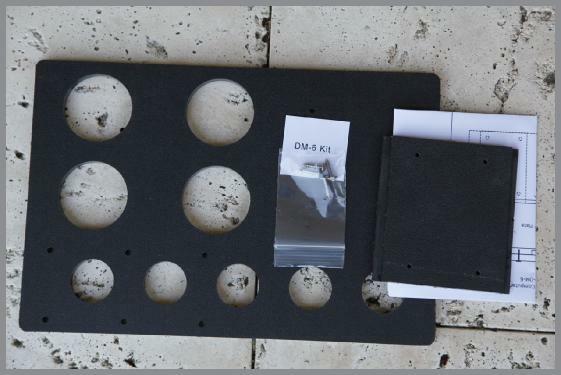 Eyepiece Tray has 4 hole for 2” and 5 holes for 1 ¼ eyepieces and can be easily slid off the DM-6 for easy transport or storage. There’s even room to mount a small computer.Link to Eyepiece tray page. Comes with Sky Commander XP-4, Manual, Encoders, internal cabling and Eyepiece Tray with SkyCommander mount. All you need to make your DM-6 PUSH-TO.